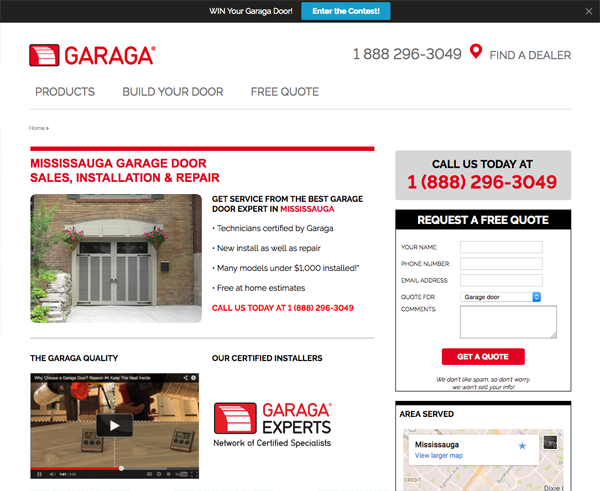 Garaga, a Canada-based multinational garage door manufacturer, lacked the ability to capture online customers. Despite their tremendous growth since the 80s, the company was at risk of losing out on key revenue streams in the digital age. 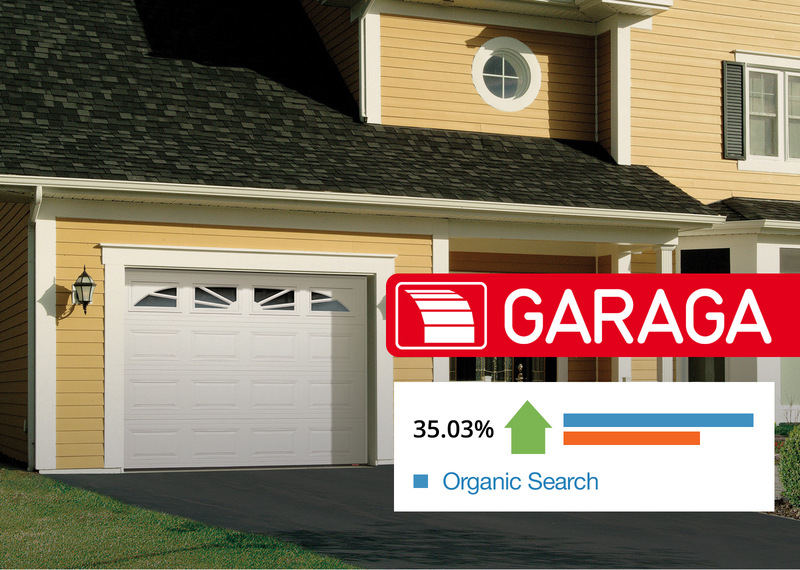 Garaga’s website suffered from misdirection; the lack of content gave no reason to come back following the initial visit, and it’s unoptimized architecture resulted in a lack of conversions and poor search engine visibility. Potential revenue was lost every single day. In 2011, Garaga realized they had to turn things around. They approached our team and formed a close partnership with us. It was time to help re-establish Garaga into industry leaders. We began our partnership with comprehensive SEO and PPC audits which allowed us to strategically pinpoint Garaga’s core issues. The climb to the top of the mountain had begun. To increase search engine visibility, we developed and optimized 60 localized landing pages, and meticulously ran successful link building campaigns. 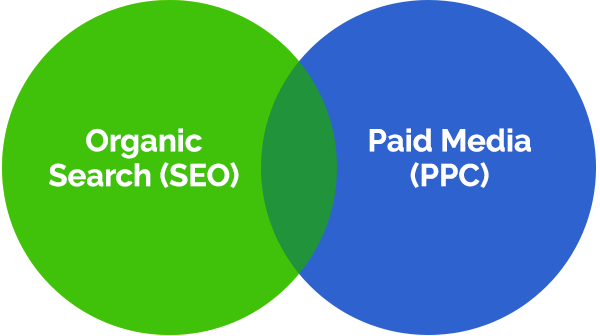 This increased organic search traffic by 35%, and we were hungry for more growth. Garaga’s lack of content was problematic so we invested heavily in a fastidious content strategy. By crafting a variety of sales + marketing aligned content such as infographics and blog posts, we increased organic search traffic by 40,000. We also executed paid search marketing and conversion rate optimization tactics which reduced Garaga’s cost per lead to a mere $7. 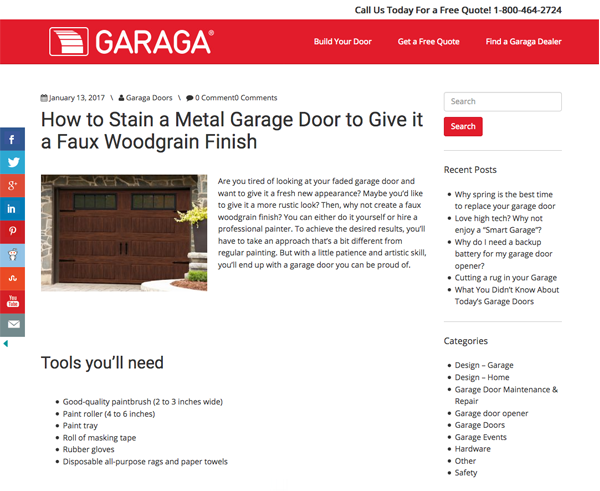 Garaga was so pleased by the quick turnaround that we even partnered with several of their dealer websites. Using similar tactics, we drove a 167% increase in organic traffic. Our close partnership with Garaga has been an absolute pleasure, and it continues to this day.